Several idyllic and peaceful sheltered anchorages, protected by small islands make up this cove at the eastern end of Kekova Roads. Gökkaya Liman can be entered from S, SE or E. The approaches all have good depths but extreme care should be taken to avoid reefs and underwater rocks with very little coverage. The approach from the E passes under power lines with a clearance of at least 25 metres. Anchoring is possible anywhere with suitable depths. The holding is good on mud and sand. Popular anchorages are in the inlet running west from the centre of the cove in 3–5 metres depth where you can take a line ashore and in the NW corner with 3–7 metres. One disadvantage of this anchorage is that day tripper boats occasionally moor up overnight amidst revving of engines and shouting. It is thus absolutely essential to use a good anchor light here if staying overnight. There is a steady flow of fresh water from an inland spring that keeps the cove cool. There is also a sea cave at the SE end of the islet reachable by dinghy. On the west side, there are the ruins of a Byzantine church. Also, part of the Lycian Way runs along the west side and can be explored on foot. 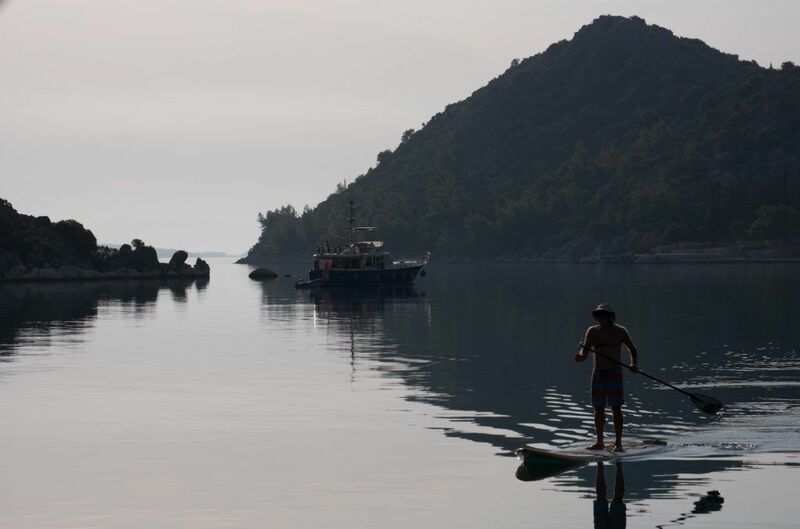 Finally, it is possible to leave the boat and visit Demre and Myra, just 2nm away, by dingy.